Since Montana passed the bi-partisan Health and Economic Livelihood Partnership (HELP) Act in 2015, Medicaid expansion has been a vital source of health care coverage for nearly 100,000 Montanans. Each of Montana’s 56 counties is home to individuals, families, and workers who have benefitted from both preventive health services that detect treatable health concerns early and access to behavioral health services, such as counseling, addiction treatment services, and medications for mental illness. All corners of our state benefit from Medicaid expansion. The program has been critical for the 18,000 businesses – large and small – across the state that have at least one employee enrolled. It has also helped thousands of Montanans find new and better employment opportunities and brought in millions of federal dollars now flowing through local economies. The Department of Labor and Industry provided approximately 29,000 Montana Medicaid clients with a variety of workforce services. Montana Medicaid expansion has proven to be a successful program, one that helps working families, employers, and the broader economy. From Carter County to Lincoln County, Medicaid expansion is working for Montana. The 2019 Legislature has all the facts it needs to reauthorize this bi-partisan, Montana-made health insurance program in its current form. Appendix A provides county-specific data for Medicaid expansion total enrollment and percent of county population. Appendix B provides county-specific data for the number of Medicaid enrollees who have received preventive screenings, and the total number of total preventive health care services for Medicaid enrollees. Appendix C provides county-specific data for the number of Medicaid enrollees who have accessed inpatient and outpatient mental health services and substance use disorder treatment services. Total Statewide Medicaid Expansion Enrollment 95,973 adults; 9.4% of the state population. Department of Health and Human Services, “Montana Medicaid Expansion Dashboard,” accessed Mar. 7, 2019. 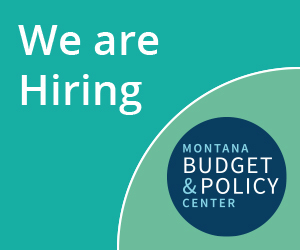 Department of Labor and Industry, “Montana Medicaid and Montana Employers,” Jan. 8, 2019. Department of Labor and Industry, “DLI Clients by County 1-16-19,” MBPC information request, received on Jan 16, 2019, on file with author. Department of Labor and Industry, “HELP-Link Program 2018 Fiscal Year End Report,” Dec. 2018.